Do Terms of Endearment in the Workplace Affect Relationships? Pet names are not considered workplace appropriate. While referring to someone as “sweetheart or “sugar” may appear innocent on the surface, this overly familiar verbiage can lead to misunderstanding, claims of favoritism, or even accusations of inappropriate professional behavior. All of these factors have the potential to negatively impact relationships in the workplace. Intentional or unintentional, using a term of endearment can convey a lack of respect, especially if a superior is using the term with a subordinate. A supervisor who says to an employee, “Honey, would you hand me those files?” verbally puts that employee in a subservient position through the choice of words. This can negatively impact the relationship between the employee and supervisor if the employee feels treated in a derogatory manner. Terms of endearment run the risk of sounding condescending, particularly when used in a tone one might use when speaking with a child. For example, “Oh sweetie, this report shows you really don't know what you’re doing, do you?” Not only is the comment condescending, but the use of the term of endearment can potentially take it to an embarrassing level. Also beware of terms like, “son,” or “granny” or any other word that has age-based connotations. Both of these actions can cause relationship-destroying resentment. Using terms of endearment in the workplace runs the risk of being perceived as sexual harassment. 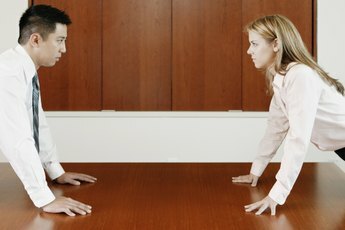 Even when used in a seemingly positive context, such as, “Hey doll, great presentation!” or, “Whoa babe, way to ace the report!” These exchanges can be between colleagues, employees and supervisors and members of same or opposite genders and still technically be seen as harassment if one party feels the wording is out of line. Any type of unprofessional language in the workplace has the chance of damaging relationships. An employee can feel talked down to, infantilized or degraded, regardless of the relationship, the age or the gender of the person using the phrases. Even in instances where an employee has an amicable relationship with the person who uses the term of endearment, the exchange can be uncomfortable for other employees. They might take the language as a representation of preferential treatment or an inappropriate relationship, and both perceptions can lead to hostile relationships. Using terms of endearment in the workplace -- especially if you have been asked to stop the behavior -- can lead to charges of a hostile work environment or sexual harassment. Managers should address this and issue a reminder of appropriate workplace language to ensure everyone maintains positive relationships. 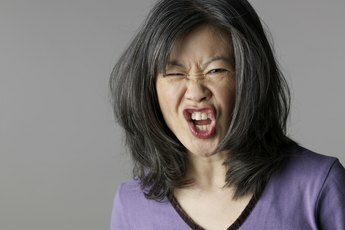 Can an Employer Fire a Worker for Verbal Abuse?